Update 05/09/2011: changed and “of” to “or” on Kyouya page. I have no additional comments to make about the extras here because I’ve been posting my thoughts in the chatbox and because I put a few comments in the release itself. I hope you all enjoy it! Also, as with all of the Ouran stuff, this release will expire in a month. I encourage you to purchase the official Viz translation of Volume 18 when it comes out sometime in 2012. I will, of course, post purchase links as Viz releases the remaining volumes. 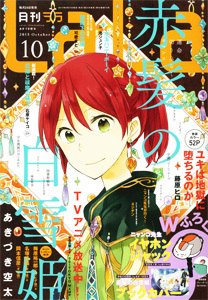 If all goes well, hopefully, I will be able to release “Akagami no Shirayukihime” chapter 24 by the end of this month. If not, then it will come out a day or two after “Magnolia” chapter 10. First and formost (as always), thank you! ^_^ I will most certainly purchase this when I get the money. Aw, the little blib about Honey and Mori's little brothers was cute. Mori's little brother, though.. he's gonna be a charmer. I just know it..lol. The twins look cute when they're older. A more “mature” cute..hehe. Little sister.. eh ::shrugs:: Best of luck to them, then (too be honest, I'm glad she wasn't in the manga). Wow.. Mori.. wow. He was my 2nd favorite character and I'm happy with the results..lol. Oooooh, Kyoya's looking good too! But, like you, I'm sorta disappointed that nothing was really resolved for him. But, since it is not.. I'll imagine that he took over everything and married a women he loved.. and that he is still very attatched to his Host Club friends..lol. Well, I am pleased with this and the only I would've wished to see were the Host Club's children. Oh, well. It's all good. Thank you again for this!! That was so cute!!! Plus it was extremely satisfying! Thank you bunches for the scans! absolutelyyy love it!!! what a fantastic ending! thank you so much! thanks so much for this extra!!! Wooooow!!! That was so cute!!! The wedding scene on the last page was beautiful. And I loved the ending of Haruhi having to wipe Tamaki-sempai's eyes. I would've loved to have seen all their wives… especially the twins. But I liked the little sister part, especially how tsundere she is… and the, “There's no need to flatter men…” Thank you for sticking with this one! Thank you for doing this. nididn't seem to grow even later on, huh? Didn't think that he would really pursue a relationship with Kanazuki. I imagine the two of them will be a cute couple. Haruhi and Tamaki are so sweet together. I wish they'd give us a view of their life together when they're older. Hopefully, this'll be like Hanakimi, which kept having side stories every other year. Thank you! These extras was such a nice read 😀 I love older Mori and ❤ Kyouya! It was a sweet omake ending! I'm finally satisfied on the TamakixHaruhi story. Thanks a bunchies for taking your time out to release this! You're super awesome!! …thank you so much. I can't say how grateful I am to Hatori Bisco..she never lets us down. zomg. thank you so much for this. I'm glad you all enjoyed this. Like many of you I wanted more Kyouya and Mori. Heck, I want more Ouran oneshots in general. 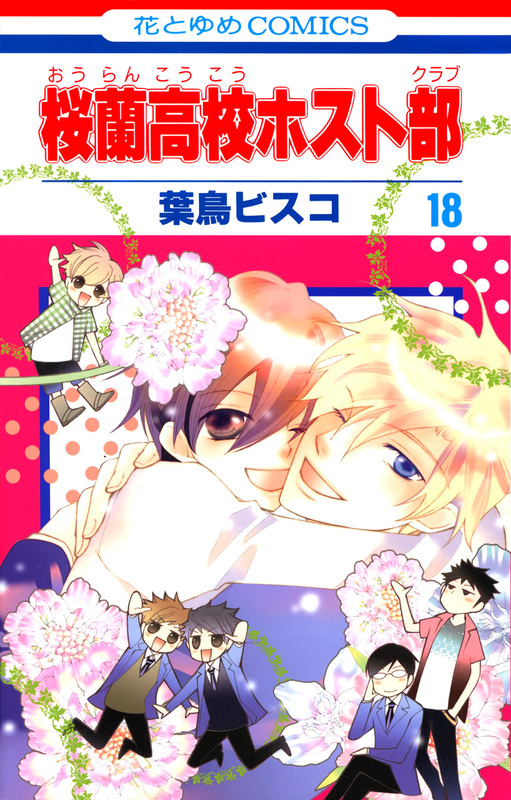 I hope like Hana-Kimi and W Juliet we get more occasional special Ouran chapters. Thank you all for your wonderful comments and I hope you give thanks to Hatori-sensei by purchasing the volume either in Japanese or when it comes out in English. LOL the siblings decided to make a host club, turned into a pet club. Aw, Hani got married to that one chick! I wasn't expecting that, and I wasn't expecting him to be the first to get married, but that was adorable nevertheless. Mei-chan & bosanova are quite an attractive couple. I was hoping Bisco Hatori would make Hikaru & Karou find wives, the little sister.. eh.. I'm kinda disappointed that nothing was really resolved for Kyouya. He looks really good in that picture though. I wish he'd get married to a really nice/pretty girl he loves. Tamaki is still the “King” & as charming & hot as always<3 Haruhi looks so pretty with her hair growing out! I like how the parents became good friends. I teared up a little as I saw the page with Tamaki carrying Haruhi bridal style, they looked so beautiful! I bet their wedding was marvelous. I love how they're all still best friends. Ouran High School Host Club ♥ Thanks again for the extras! It was beautiful! As you said, I wanted to see more of Kyouya but we can't have everything. I'm going to miss Ouran a lot. It really seems like all the characters have matured greatly. It is it was waiting it does very much. Thank you so much. My inner fan girl is squealing right now. OH MY GOD, thank you so so so much for posting the Host Club's extras!! Tamaki and Haruhi will definitely be together and married, of course. God they're cute. Hikaru will probably be the graphic designer since he's good at Math. HA HA. I agree with Hatori, it'll be nice for the twins to have a sister. I'm happy that Hunny and Reiko together at last!! Also Kuragano and Class President! They're cute couples! Mori never changes, ha ha. I'm happy for his future. Overall, thank you for the scanlations and also thank you for Bisco Hatori to make this awesome story!